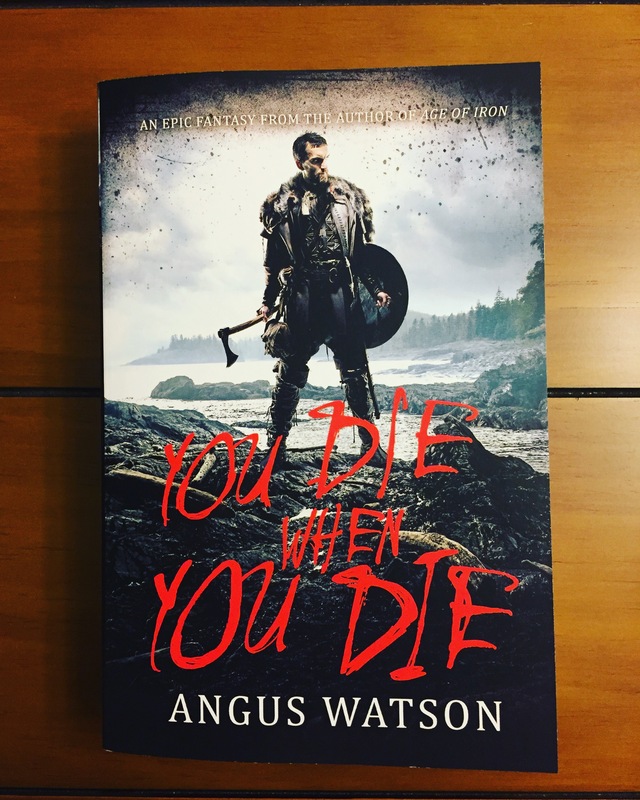 We interrupt this unintentional period of silence with good news: You’ll love when you read You Die When You Die by Angus Watson! Every so often a book comes along and completely interrupts your currently reading pile and all your carefully made to read plans! Angus Watson has written such a book! 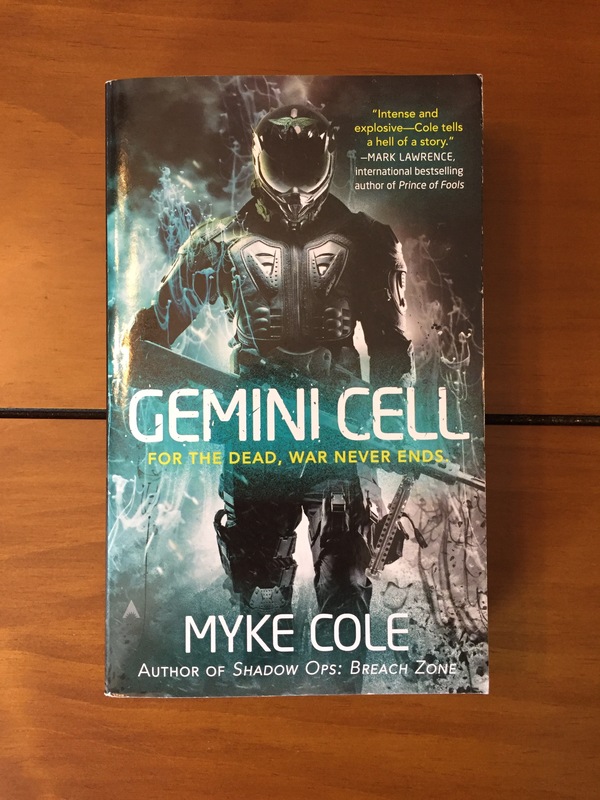 The title caught my eye, the cover interested me, the premise intrigued me, and the story delivered even more than I had hoped for. You Die When You Die is a Fantasy set in a world similar to North America prior to the Europeans, except that a small group of people similiar to Vikings have somehow made their way far into this land and created a settlement where they lived mostly in peace. That is until their settlement is massacred and the few survivors set off on an epic journey to try and cross the land and find the safety that has prophesied far off to the West…. This story is excellent. 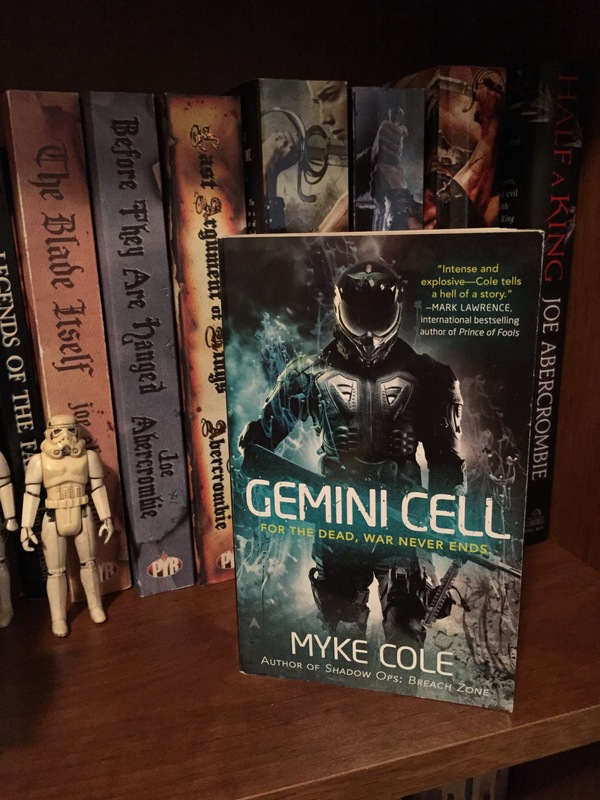 It’s a fun page turner of a book! 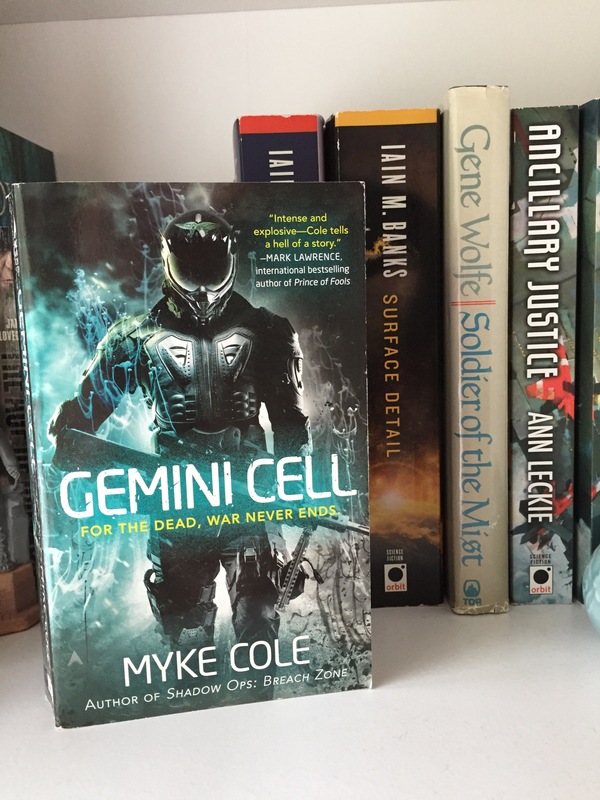 The chapters are short and action packed, the characters are interesting, the conversations witty, the blending of possible history and fantasy is well done, and this all works together to draw you in to an incredible story! How much did I enjoy it? 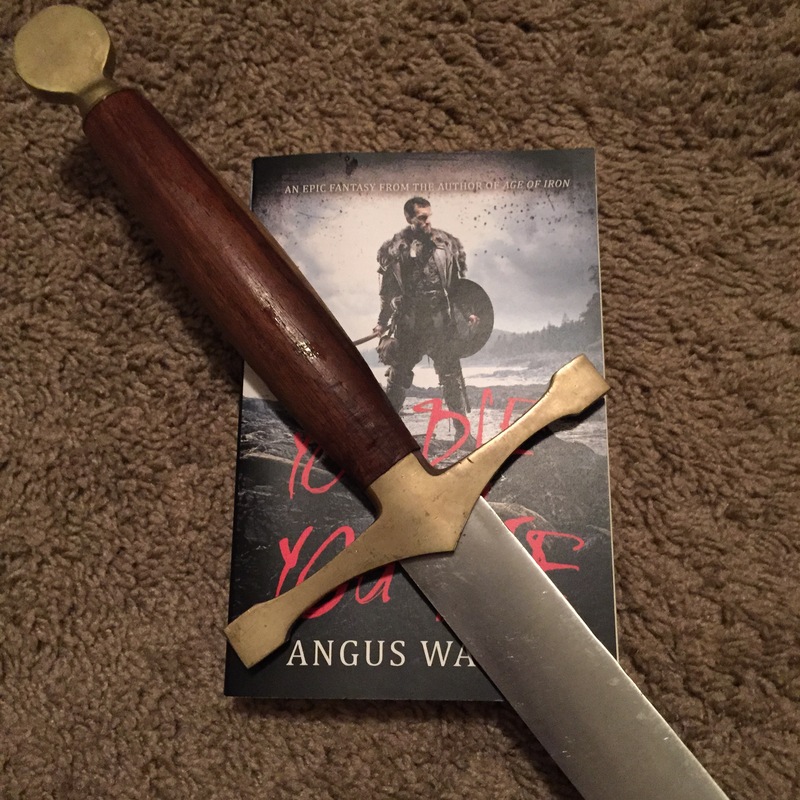 Well since I have to wait until 2018 for the sequel I went ahead and bought Age Of Iron which is a separate trilogy the same author wrote before writing You Die When You Die. The two stories are unrelated, I just wanted to read more by Angus Watson immediately! 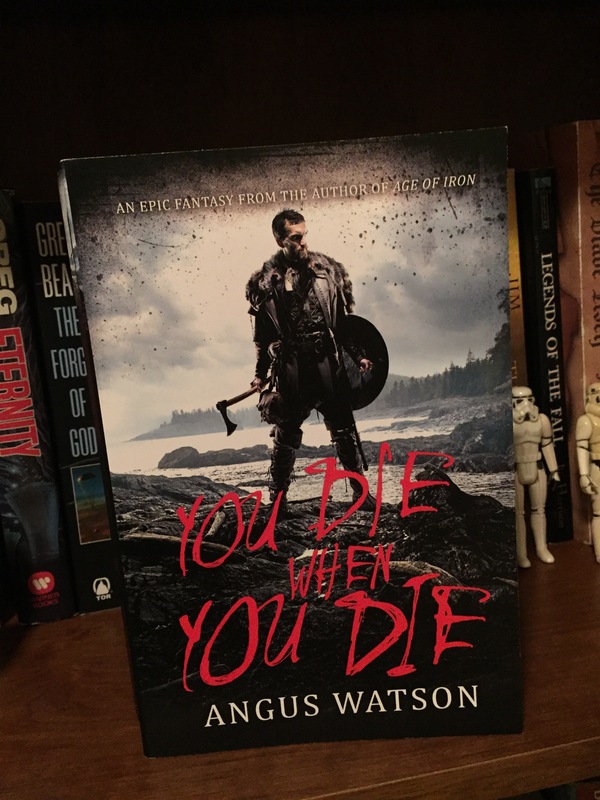 This entry was posted in Book Reviews, FirstAuthorContact and tagged AngusWatson, book, bookreview, bookreviews, books, Fantasy, Read, Reading, RedStarReviews, review, You Die When You Die on August 14, 2017 by redstarreviews.